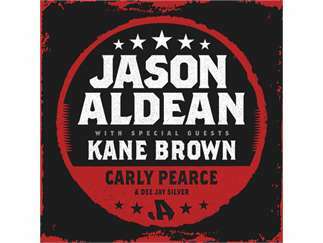 Country superstar Jason Aldean has announced his Ride All Night Tour with special guests Kane Brown, Carly Pearce, and Dee Jay Silver makes its way to Grand Rapids on Friday, May 10, 2019 at 7:30 PM for a concert at SMG-managed Van Andel Arena. Tickets go on sale to the general public beginning Friday, March 1 at 10:00 AM. Tickets will be available at the Van Andel Arena and DeVos Place® box offices, online at Ticketmaster.com, and charge by phone at 1-800-745-3000. A purchase limit of eight (8) tickets will apply to every order. See Ticketmaster.com for all current pricing and availability.